Have you ever wondered what it would be like to take up as little space as possible? I don’t mean that you wouldn’t exist or you’d become insignificant to others. Nor am I encouraging people to cut back from their normal lives. I am referring to people who waste-not and want-not. People who use their resources as efficiently as possible. People like Christian. His 24 square-meters lego-style house is full of surprises. He thought about what he needed in a home, not what he wanted. There are a few things to take out of this video. Thanks to the revolutionary style of this efficient apartment, I have a new appreciation for simplistic living. I am re-thinking my lifestyle because I know there are areas where I over-complicate my life. Christian’s video does not make its viewers ashamed of their lifestyles. Yes, I am sure I over-consume at times; but this video takes an optimistic approach. It highlights the positive aspects of Christian’s design rather than the negative aspects of other apartments. If I were Beck Bennett, the man who is in those adorable AT&T commercials, I would prompt the above question to kids. I would listen to their naïve, carefree answers which would most likely consist of “No way” and “I want everything”. But we’re not in a commercial; and we’re not talking to little kids. We’re talking about real life and real issues. You may still be on-board with these kids if you were thinking of money, candy, or all the gold in the world. However, if you’ve ever watched and truly understood the messages portrayed in almost every Disney movie, if you have too much of a good thing, something pleasant may become unpleasant because you have overused it. I am going to try to prove to you that too much of a good thing can be costly. Let’s look at air conditioning. When shopping for new products, our consumer-driven nation has taught us that bigger is better. However, when it comes to AC units, this is not always the case. An AC unit does two jobs. It lowers temperature and removes moisture from the air. In order to remove moisture in the air, it needs to run for a long time. It takes at least 15 minutes before you will notice any dehumidification in the air. But, an oversized air conditioner will run for about 10 minutes then shut off because the house will be cool. Then the unit is only doing half its job and you’re left with a humid, stuffy home. So not only will you be paying higher energy bills to run this oversized AC, you will also be voluntarily living in humid discomfort. 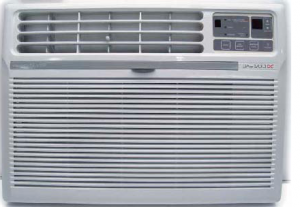 So check the runtime of your air conditioner because you may be getting too much of a good thing. Megaretailer Wal-Mart Stores Inc. just unveiled its 100th solar system in the state of California. All told, that brings the superstore’s solar installations to 150 throughout the country. What’s more, by the end of 2012, it expects to have as much as 90 megawatts of capacity, which would be more than IKEA and more than Apple. “We are trying to show folks that you can not only pursue these sustainability initiatives, they also make business sense,” said Marty Gilbert, director of energy for Wal-Mart, explaining that using renewable energy is not only good for the environment but also can drive down prices. “The more we get involved and commit to volume, the more the prices come down for the technology,” he said. Wal-Mart installed its first solar projects in 2008 and has been installing panels in areas where utility rates are typically higher—such as California, Hawaii, Puerto Rico, Ohio and Connecticut. 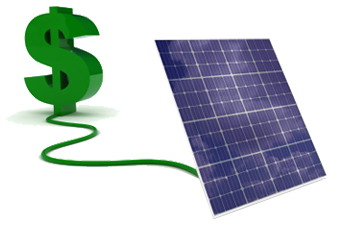 Supplementing their energy needs with solar providers cuts the company’s overall costs. Through the new California system, the company hopes to create up to 70 million kilowatts of clean, renewable energy every year; eliminate over 21,700 metric tons of carbon dioxide emissions every year; and cover as much as 30 percent of each facility’s electricity needs. For more information about Wal-Mart’s sustainability projects, visit WalMartStores.com/Sustainability. The Federal 1603 Grant, which famously allowed for the monetization of the 30% ITC (investment tax credit), expired at the end of 2011—but that doesn’t mean the end of solar for commercial and industrial customers. Standardization of Documents: Project documentation and varying credit quality are two of the greatest limiters of the C&I market in a non-1603 grant environment. The ability to produce and use a set of repeatable documents will greatly reduce the transaction cost and the time needed for investor review and approval. Utilizing a Single EPC Provider: Quality design and installation and a firm financially capable of providing real installation warrantees will be required to access larger sums of capital and debt to allow for efficient and reliable financing solutions in this market. This will require larger, more financially sound EPC providers or the continued consolidation of smaller firms. Either way the risk of poor design and installation will need to be minimized. Utilizing a Single O&M Provider: The long-term nature of these assets will require professional and guaranteed maintenance from a firm that can stand behind each project and ensure the highest quality of ongoing operations. Large-scale O&M providers will in essence protect the power generation and cash flow of a system backed by institutional investors. This will require higher quality components with long-term bankable warranties. Providing a Bankable Production Guarantee: Different production profiles will add complexity to the predictability of cash flows and will have a profound effect on the availability and cost of project level debt. A meaningful production guarantee from the O&M provider or a credible third party will help to reduce financing costs and streamline the approval process. Those who can meet these kind of demands will find major benefits from a more streamlined solar market. For more information, see the original article at Renewable Energy World. Germany-based solar startup Heliatek GmbH recently announced plans to begin production of the products it’s been developing since launching in 2006: flexible, organic photovoltaic cells. “We are finishing the manufacturing line; we will be in production in the next few weeks,” Thibaud Le Seguillon, CEO of Heliatek, said in an interview. Production will take place at the company’s new Dresden factory, which took 14 million euro (about $18 million) to construct. Future plans involve a second, much larger, fab, also to be built in Dresden. Before the second line can be made, Heliatek will have to raise further funds—60 million euro (about $75 million). It has 25 million euro pledged already from investors, which include BASF, Bosch, RWE, Wellington Partners, eCapital, Hightech Grunderfonds, TGFS and GP Bullhound. “Organic photovoltaic is an important next generation technology for BASF,” said Dirk Nachtigal, Managing Director of BASF Venture Capital. That’s why BASF is developing new organic materials for solar cells that enable efficient and competitive energy generation. “In order to fully exploit the potential of this innovative technology, our collaboration with partners like Heliatek is of strategic importance,” continued Nachtigal. In terms of recruiting investors, Heliatek has working in its favor the fact that it is a renewable energy technology company involved in manufacturing for export, traditionally a selling point. But on the down side, investors will likely be wary of photovoltaic companies, which have seen many bankruptcies over the last few years. 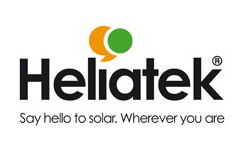 For more information about Heliatek GmbH and its organic-based photovoltaics, visit Heliatek.com. There’s more to the sun’s power than the part we can see—just ask anyone who’s gotten a sunburn on an overcast summer afternoon. In addition to the powerful, visible spectrum we can look at and which most photovoltaics are built on, there is another part. And new solar cells from the researchers at MIT are designed to capitalize on that overlooked aspect of solar power. Through their first “all-carbon” solar cells, MIT researchers have found a way to capture light we don’t see and turn it into usable energy. Through a new device that goes right on top of existing panels and uses carbon instead of silicon as their primarily material, researchers have found a way to make it possible to put carbon nanotubes and C60 to work changing infrared light into electric currency. 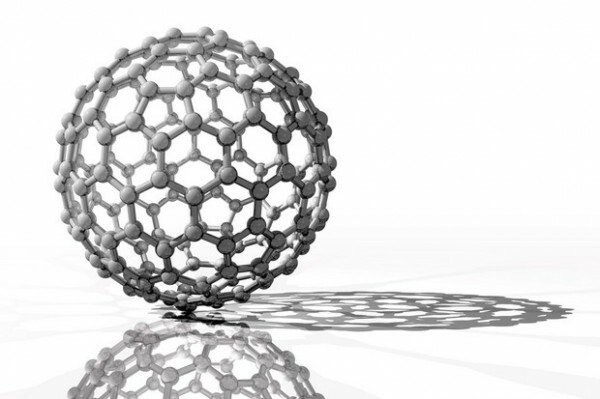 While the production of purified carbon nanotubes on a large scale and for affordable prices is only now a new reality, there is a good chance that further refinements could lead the concept to spread to many other surfaces as well. Since its transparent to visible light, these cells can overlay regular solar panels or other materials. “It’s very much a model system and other groups with help increase the efficiency,” said Rishabh Jain, a graduate student and a lead author of the study. At Soluxe Solar, we’re always excited to hear about new developments in the world of solar and are looking forward to future applications of MIT’s new device! Canadian solar project developer Pure Energies Group announced Monday that it has acquired One Block Off the Grid, the startup that helps neighbors find better solar deals by pulling together their combined knowledge and resources. In fact, since its founding in San Francisco in 2008, 1BOG has brought in thousands of clients across forty states, providing the connecting link between solar installers, reputable providers, homeowners looking to install panels and homeowners who already have. Through this new acquisition, for which details have not been disclosed to the public, Pure Energies plans to take 1BOG’s expertise and use it to create a sort of comparison-shopping service for the homeowners it serves, whereby they’ll be able to find the best deals on solar energy in their neighborhoods. Pure Energies sells solar systems in Ontario, where a lucrative feed-in tariff has created a need for solar installers that has already led to installations of several megawatts of projects in the area so far. 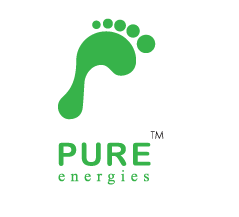 As a result of this new deal, Pure Energies plans to put 1BOG’s website to work in Ontario and in turn to offer 1BOG installer and technical support in the states. According to Andrew Krulewitz, GTM Research solar analyst, 1BOG’s idea offers great potential for homeowners to save money as they’re able to compare prices from big companies like SunRun, SolarCity and Sungevity. To learn more about Pure Energies, visit Pure-Energies.com. Glen Falls Hospital in Glen Falls, New York, recently unveiled new rooftop solar thermal panels at its Renal Dialysis Center, making it the first hospital in the area to run dialysis in part through solar power. “This innovation at its purest … will also help us save a few bucks,” said David Kruczlnicki, hospital president and CEO. The solar system had a total pricetag of $32,500 but was partially paid for by a $25,000 federal stimulus grant from the New York State Energy Research and Development Authority. The way it works is this: the solar panels will absorb heat from the sun into municipal water that flows through sealed vacuum tubes. Because heat is a major part of dialysis, used to keep the blood at a 77-degree temperature as it moves through the cleansing machine and then warming it to 98.6 for a patient’s body, the solar panels will be very useful in replacing other forms of power used in the treatments. In fact, the solar power generated through the new panels should replace about 45 percent of the natural gas that was being used to heat water for the center, which uses about 5,500 gallons of heated water a day during treatments right now. By saving the hospital money, this renovation will also make it possible to repay the investment within five years, with continual cost savings afterwards, through its entire estimated 30-year lifespan. That’s money the hospital can “take..and re-invest in patient care or new technology,” said Ron Zimmerman, VP of operations at the hospital. Are solar-powered worldwide flights possible? In May, we mentioned an experimental solar aircraft that was trying to take its first transcontinental flight but had been delayed by fog. Now, that same plane has been delayed a second time, attempting to fly over Morocco’s Atlas Mountains but being prevented by high winds. “Because of [the plane's] big size and low speed, we cannot go into areas of heavy turbulence like the big commercial planes can,” Borschberg told The Associated Press from the cockpit of his aircraft as he flew over Morocco’s coastline near Casablanca recently. 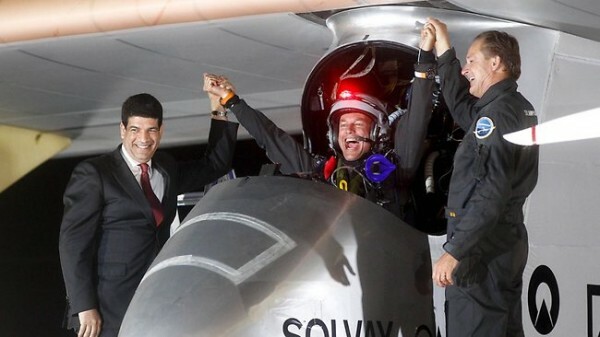 His airplane, the delicate and lightweight Solar Impulse, has a wing span the size of a commercial jet but a weight closer to the size of a family car, meaning it’s highly vulnerable to harsh weather conditions. Its battery-powered turboprop engines get recharged by the 12,000 solar cells covering its body, but that relies on the sun. The plane is the only solar-powered craft of it kind, one which can fly day and night. The reason for setting Morocco as the first destination for a transcontinental flight with the solar plane is because of the country’s push towards large solar energy plants. By 2020, Morocco plans to build five solar plants to produce 2,000 megawatts of power, making it possible to get 40% of its energy for renewable sources and even to export energy to Europe. By 2014, Borschberg hopes to fly an improved version of the plane around the world—but it would have to be via a course chosen for the most temperate weather. While solar-powered planes are never expected to replace typical, fuel-powered jets, what Borschberg’s attempts have showcased already is the incredible possibilities that exist with solar power.